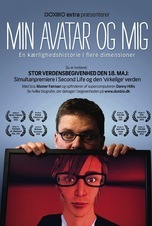 When it comes to Danish meta-mockumentaries about virtual worlds and mysterious clocks, My Avatar and Me is the one to see. Starring and co-directed by Mikkel Stolt, the film features cameos by Long Now co-founder Danny Hillis and the Foundation’s Nevada site. The next showtime is Sunday July 10th and writer/co-director Bente Milton will be virtually present to answer questions and to discuss the film.